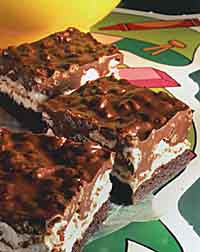 Tonight while I created my Shape Town Mom Project, I made a batch of these delicious marshmallow krispie treats. I thought I should share the recipe... they are so good! Mom's should get rewarded at the end of the day for all their hard work, right? okay those look AMAZING! Adding the needed supplies to the next grocery trip!